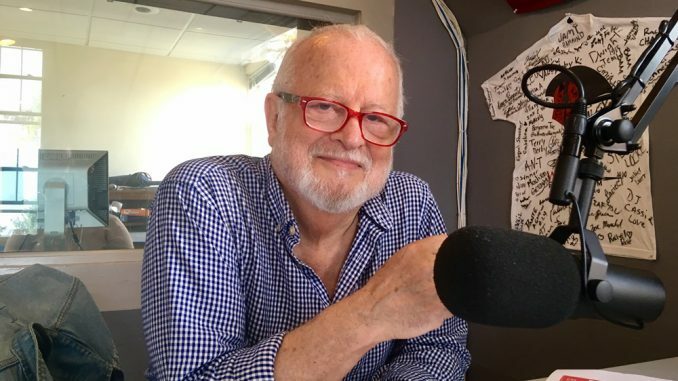 Craig Smith, producing and artistic director for the Phoenix Theatre Ensemble of Nyack Art and Soul on the Hudson, was recently in the WNYK studio. An interview with Mr. Smith will be broadcast on WNYK 88.7 FM on Friday, November 2 at 3:00 PM; Monday, November 5 at 5:00 PM; and Tuesday, November 6 at 1:00 PM. Phoenix Theatre celebrates its fifteenth anniversary this year. Upcoming shows include a reading of Jerry Lerner’s “Other People’s Money” on Saturday, November 17 at 2:00 PM and a performance of Tolstoy’s “The Death of Ivan Ilyich” on Saturday, December 8 at 8:00 PM, featuring Mr. Smith in a starring role. These events will take place at the Nyack Public Library, 59 South Broadway in Nyack. The Nyack College community is invited to use the code WARRIOR to save $5.00 on tickets for Phoenix Theatre performances.